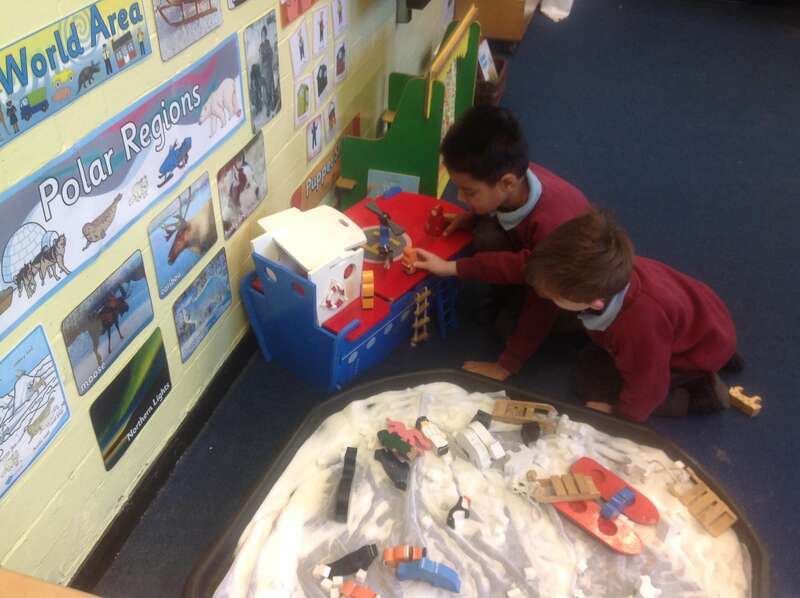 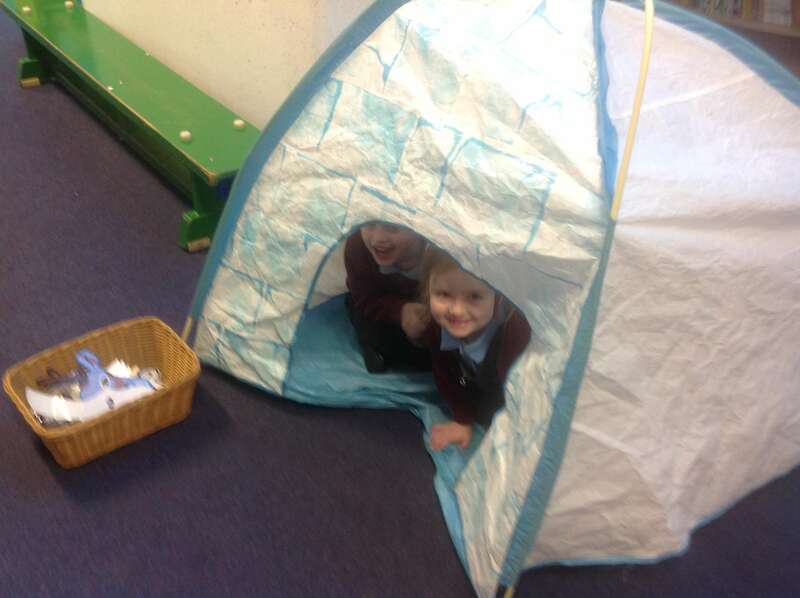 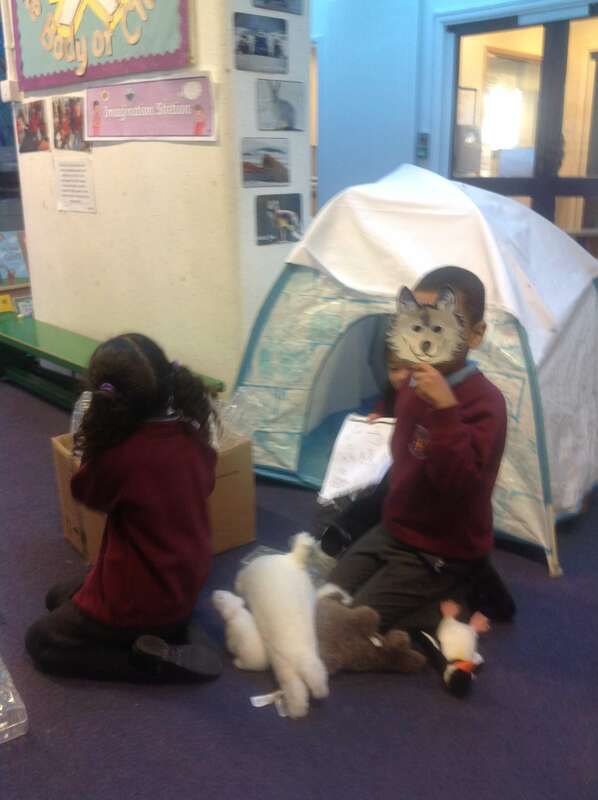 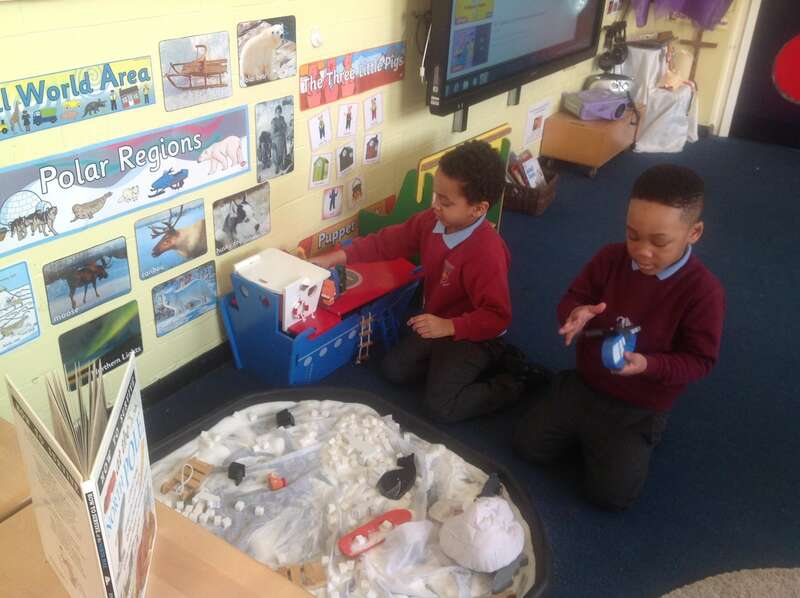 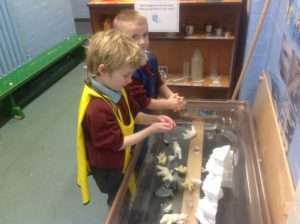 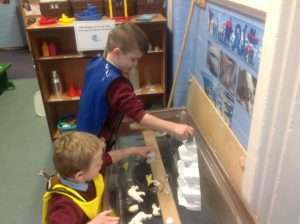 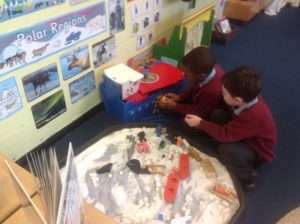 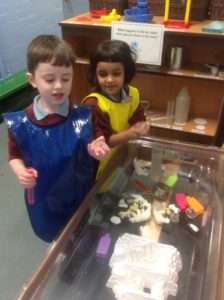 Home » All News » Reception, School News » Life in the Polar Regions! 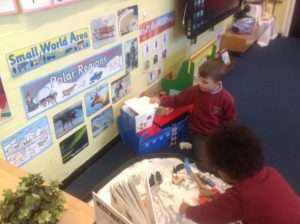 Life in the Polar Regions! 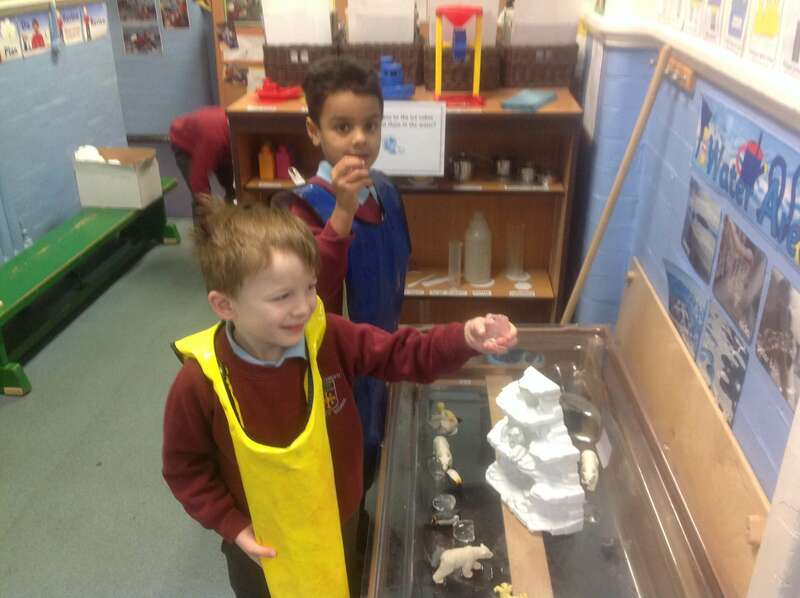 We have been investigating the cold in this Winter Weather. We used our non-fiction collection and the internet on our laptops and ipads to ‘research’ Life in the Polar Regions. 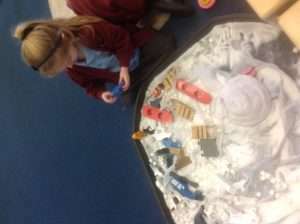 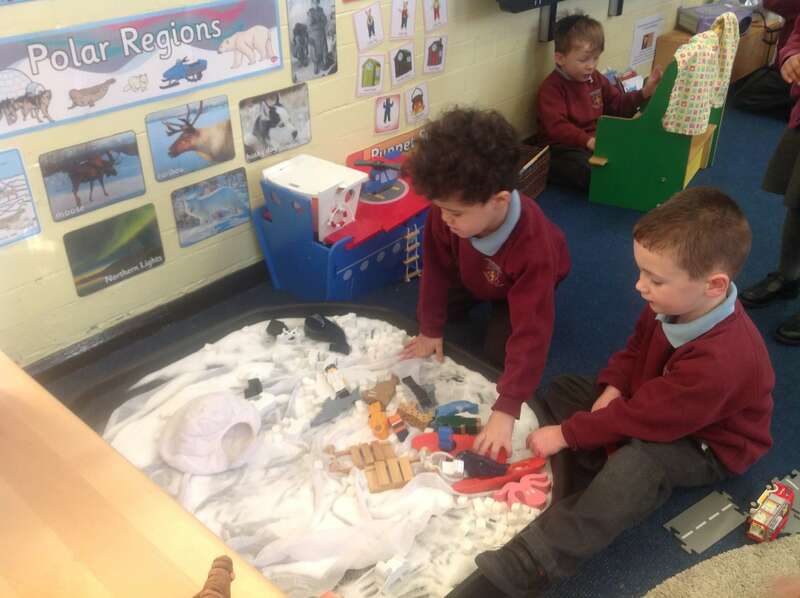 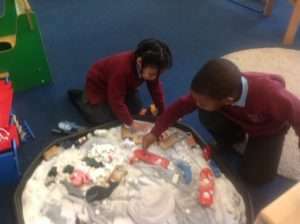 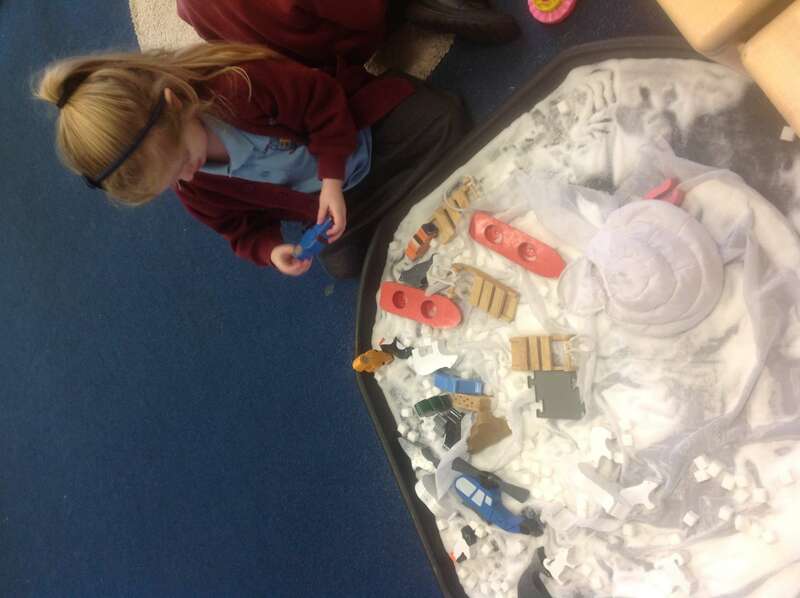 We enjoyed creating a land of snow and ice in our classroom. 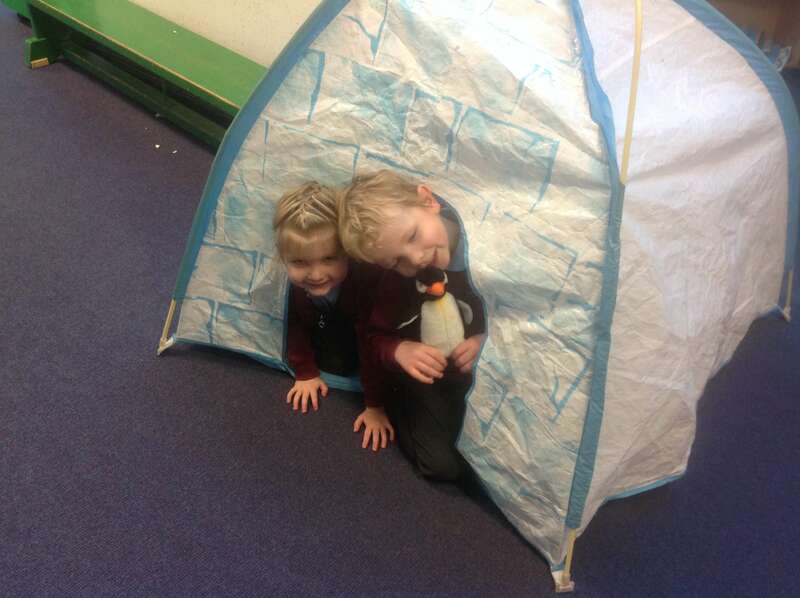 We found out lots of facts about Life in the Arctic and the Penguins of the Antarctic. We enjoyed making and melting ice.